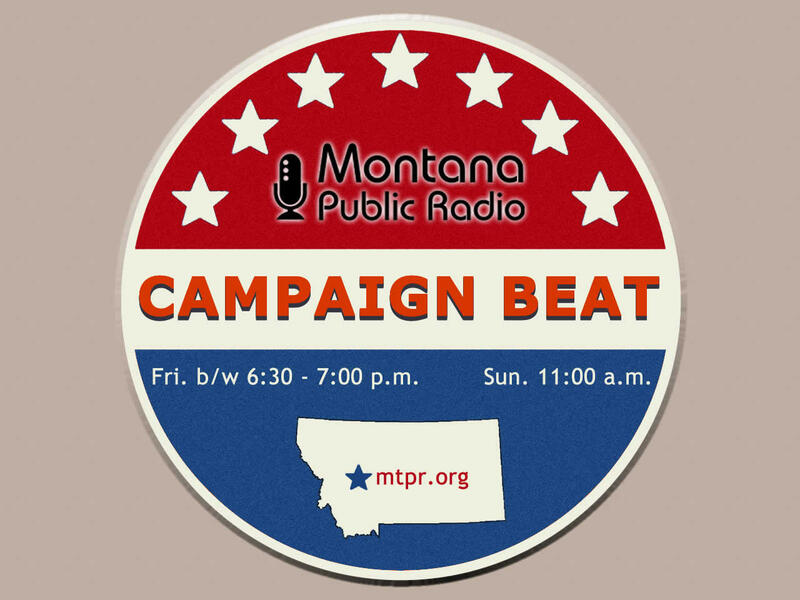 Sally Mauk: Welcome to Campaign Beat, our weekly political analysis program I'm Sally Mauk and I'm joined by University of Montana political science professor Rob Saldin and veteran capitol reporter Chuck Johnson. And Chuck, Tuesday is Election Day and even though many people have already voted absentee many others are still making up their minds. I think especially in the U.S. House Democratic primary race I've talked to several people who say they like Kathleen Williams, they like John Heenan, they like Grant Kier and they aren't sure yet which of those three they're going to choose. Chuck Johnson: Well, it's getting down to decision time for them and a lot of people. You know, we've got an interesting race there five people running. It really boils down to three candidates: Heenan, Kier and Williams. I sort of think Williams is too little a little too late, although she's had some strong policy stands, but she hasn't matched the other two in fundraising. You know the question is whether her being a woman is an asset, you know, against the two men. We've seen Grant Kier run a lot of ads in recent weeks emphasizing he was raised by a strong woman, married to a strong woman and they're raising a strong daughter. So he's really emphasized the women vote. Heenan on the other hand has had ads that show him helping one woman in particular that was foreclosed on, on her house. I think she's a single teacher down in Big Timber or something like that. And he filed a lawsuit against the bank on her behalf and prevailed. So women's votes are critical in a Democratic primary. I'm guessing probably 55 percent of the vote at least in a Democratic primary is female. So they're appealing to that vote. You know the question is, do people go for a female like Williams or two men that are good on women's issues as well? SM: As you mentioned, Kier and Heenan continue to lead in fund raising, with Kier getting a number of out of state contributions and Heenan continuing to pump a lot of his own money into the race. Is there much to be made or read into that difference and how they're getting their money? CJ: Well, of course people that give you money in state have the ability to vote for you. So that's an advantage. But as for the money, I've always thought it all spends the same. I don't think the public pays much attention to specifically where the money comes from as long as you have it enough to advertise your position. But it's definitely true, and Heenan has put in a big chunk of his own money, $350,000, I believe. That can backfire if it's big enough. I don't know that it's big enough yet but it's an issue. Although the answer's always, “Well I'm not taking special interest money. I'm funding my own campaign.” And that can be a negative or a positive depending on how it's spun. But I think what we're seeing now is a lot of money on television and some on radio and it's the time where you spend it. As we've talked about before, there's kind of two places you spend it. You start spending it when the absentee ballots go out, and that was May 11th. And then for the people that don't vote absentee, you’ve got to re-emphasize your credentials again. And so that's within the last week when people have started advertising heavily again to hit the people who still vote at the polls. SM: Rob, will voters see a clear contrast between Grant Kier and John Heenan? Rob Saldin: Yeah, I think they will. They certainly should. A lot of times in primaries it's sometimes hard to discern any kind of meaningful differences. But here we have a clear contrast. We have a moderate in Kier versus a Bernie Sanders-style progressive in Heenan. And one thing that strikes me is that conventional wisdom in Montana is that you want a moderate Democrat. A moderate Democrat is better suited to win both the primary and especially the general election. So if that holds, that's good for Kier. And part of his appeal would be that he's more electable in November. So, to the extent that Democrats make that calculation about electability, that really works to Kier’s advantage. But progressives in recent years have really been pushing back on this old assumption. And one thing that they point to is Bernie Sanders - Bernie Sanders winning the state’s Democratic presidential primary over Hillary Clinton two years ago. And if that's the best indicator of where Montana Democrats are, well, that bodes well for Heenan, at least insofar as we're talking about the primary. SM: I think, Chuck, overall we could say this race is really too close to call at this point. CJ: I think so, Sally. We've not seen any public polling, and we've got really two strong candidates and a third in Williams who's got a strong message but hasn't had the money really to promote it. But I think it'll be a race between Heenan and Kier, with maybe Williams taking votes from either of them. SM: Rob, in the Senate Republican primary, Russ Fagg is gaining on Matt Rosendale in fundraising. But I guess the question is whether in that race he's coming on too little, too late. RS: Right. So, over the course of the fall campaign, Troy Downing has raised the most at $1.4 million, but most of that has come out of his own pocket. Matt Rosendale is just behind that at $1.3 million. Russ Fagg is at $1 million and then Al Olszewski is significantly farther back. Now, the most recent finance reports for activity in April and May show Rosendale and Fagg pretty much neck and neck and definitely outpacing their opponents. You know, I think that does give us a little bit of an indication that the momentum may well be with those two. But we should also note another big player here is outside spending by super PACs, and that has gone to Rosendale to the tune of $1.8 million. So just to put that in perspective, these outside conservative groups have actually spent more on this campaign in support of Rosendale than any of the candidates have. SM: Speaking of that outside money, here's a new ad from a PAC called the Protect Freedom PAC in support of Rosendale. Protect Freedom PAC Ad, Announcer: “Taxin’ Russ Fagg pushed for a coal tax in the 90s’ and an internet tax today. And Fagg praised a liberal judge, a Clinton-Obama ally who's soft on illegal immigrants. Matt Rosendale will stand with President Trump on taxes and against liberal judges. Matt sees Trump's vision and knows it's good for Montana. Lower taxes, tougher immigration policies. SM: This ad features Russ Fagg. That's who you first see and who you first hear. And it took me a moment to realize this wasn't a pro-Fagg ad, that this was a pro-Rosendale ad. I found it very confusing. RS: It's not a particularly well done ad. And you're exactly right. Initially the visuals give you the impression that this is an ad supporting Russ Fagg and not attacking him, and usually that's just crystal clear right at the beginning in an attack ad because they've managed to dredge up some horrific picture of the person and everything is in black and white and you have a really sinister music playing in the background. There's a little bit of that in this one, but even the level of sinisterness in them and the music is kind of at a low level and so it's not clear initially. And then, you have the narrator reading the script kind of like he's going through the fine print at the end of a pharmaceutical commercial. So, it's really rushed. But all that said, I mean, I suppose at this point in the campaign, the message comes through clear enough by the end that Rosendale is the good guy - a conservative and Russ Fagg can't be trusted. You know, one other thing I guess it's maybe worth noting here is that, you know, this isn't an attack on Russ Fagg and that's just another indication that Rosendale and his supporters see this as a two-way race at this point. SM: The race though, don't you think, is Rosendale’s to lose? He's ran a very aggressive campaign and he has the money and name recognition necessary to pull it off. RS: Yeah, I think that's right. You know, going into this thing, he was the favorite. He's done well raising money on his own. He's also, as I mentioned a moment ago, I mean, he's benefited from all this outside money. And so, I think at this point it would be a bit of a surprise if Fagg managed to catch him. SM: And, Chuck, in both the House and Senate races, turnout and ground game are crucial especially in a midterm primary election, which historically has low interest and low turnout. CJ: Absolutely, Sally. I was checking the statistics from the secretary of state's office, and in these off year primaries, the turnout really is in the low 30(percents). The highest was back in 1990, in recent years, in the early '90s. It's dropped considerably since then and, for instance, in 2014 it was 31.2 percent, in 2010 32.5. So, at the best, I think we're looking at 34-35 percent. At the lowest, low 30s. And what that means is that really gives advantages to campaigns that have good ground games - people on the ground that organize volunteers and can't get out of the drops at the doors and make the calls. And so, I think this really gives them a pretty big advantage. SM: It's interesting that low turnout has continued despite it being ever more easy to vote. Absentee mail-in ballots are much easier than people having to show up at the polls and so on, but it doesn't seem to have moved the needle a lot on turnout in these midterm elections. That's interesting. CJ: No, that would be a good question for the political scientist here in Rob. But I don't know why. It's odd to me when you don't have to leave your recliner in the living room to vote anymore. RS: Well, it's still the case that people don't necessarily know much about the candidates, right? The ballot may be there on their kitchen table but that doesn't mean that all the information about the candidates has been implanted into their head. So, there still is some work to be done even if the ballot is delivered directly to you. SM: A column in the USA Today newspaper has caused some head scratching in Montana. Governor Steve Bullock wrote a piece arguing strongly for common sense gun control measures that he has not supported before, like universal background checks. Why are we to make of this change of heart, do you think, Chuck? CJ: Well, it's interesting. Bullock also cites the tragedy in which a nephew of his was killed on a Butte playground by someone shooting a gun. CJ: Yeah, I think it was in the early '90s’. And the weird thing is, Bullock has never mentioned that before in any of his races in Montana, and really sort of taken a fairly conservative stance on gun control here. But, as he's running for president, we're seeing him kind of modify that to be stronger advocate of gun control and background checks. I guess he's evolved to that position but didn't as governor, which is kind of interesting. But it's perhaps the reason, I don't know, he talks about in his op ed. That, you know, we've had a whole rash of school shootings since then. SM: Of course, we don't know for sure that he's running for president but he's certainly giving off that vibe and that probably plays into his position on gun control which would be more in tune with what national polls show versus what a Montana poll would show on that issue. Finally guys I think the X factor in Tuesday's election, as we've briefly hinted, is voter apathy and/or disgust with politics in general. And Montana Public Radio has been gauging voter sentiment all spring, and here's what Jane Endicott of Kalispell told reporter Nicky Ouellet about being fed up with the current state of politics. SM: A pithy comment, but I think she's expressing what a lot of folks feel, Rob, and I think, that, in my mind, hurts the party that is most arguing for change in the status quo, and in this case, that would be Democrats. RS: Yeah I mean, it's not exactly an original perspective that she gives voice to. It's a sentiment you hear a lot. It's rather cynical. I mean, I think it's also quite unfair when it's ascribed to particular individuals. I mean, you know, gridlock in a lot of things that frustrate people about our political system, I mean, are very systemic in nature. If you don't like some of these things, it's often the system that is the issue not these particular individuals. But, I think you're right to the extent that this sentiment is widespread, I think it does undercut Democrats in this particular cycle because everything we've been hearing, basically since the 2016 election, is that Democrats and progressives are really fired up. If this sentiment is widespread that would seem to be indication that that enthusiasm amongst Democrats is perhaps eroding a little bit. SM: And Chuck, basically what Ms. Endacott is saying that she doesn't see enough difference between the two parties. And I think that's a sentiment that's shared by a fair number of people who may or may not vote in this election. CJ: I suppose so, Sally, although the two parties in Montana couldn't be more different on a lot of issues. Nationally, I don't think there's much similarity between Donald Trump and Hillary Clinton - or was there on some issues? Maybe so, but I think it's a frustrating sentiment. It's a cynical sentiment - not to discount it - but there are differences between the candidates, and I guess I'd just make a last ditch pitch to those who haven't voted or haven't decided whether to vote to go online and listen to some of our shows, look at their, you know, newspaper accounts and radio and television accounts. There are significant differences between the candidates within the parties and between the parties. RS: You know, one point I'd make on this idea that we can't tell any difference between the Democrats and the Republicans - we need more of a distinction – well, the most conservative Democrat in Congress is now farther to the left than the most liberal Republican. For a long time throughout our history, you know, you'd have some Democrats who were more conservative than a lot of Republicans and a lot of Republicans who were more liberal than some Democrats. Well, there's absolutely zero of that. We've never been as polarized right now in terms of looking at things ideologically, and the parties really have rarely if ever been as distinct and defined in ideological silos as they are right now. SM: So there is a difference between cow poop and horse poop. Well we'll know a lot more about this election after Tuesday. And you've been listening to the Campaign Beat, our weekly political analysis program. I'm Sally Mauk and have been speaking with University of Montana political science professor Rob Saldin and veteran Capitol reporter Chuck Johnson. And the three of us will be back next week to analyze the election results. We hope you join us and I'll talk to you then, guys. There’s just one week until the deadline to vote in Montana’s June 5 primary election. 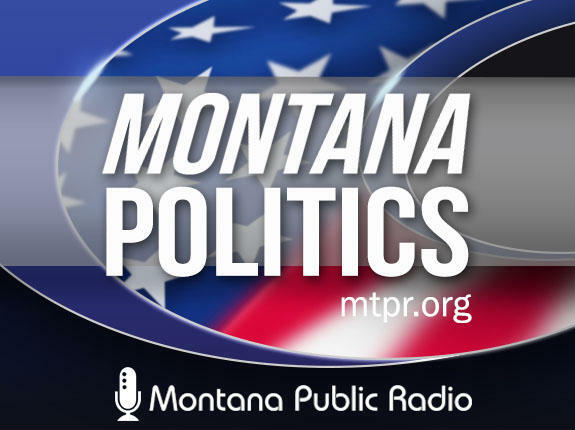 Montana Public Radio has been chatting with voters in the run up to the vote. Recently, I sat down with women in the Flathead Valley to hear about what they want from their representatives in Washington, DC, and where gender fits into politics.